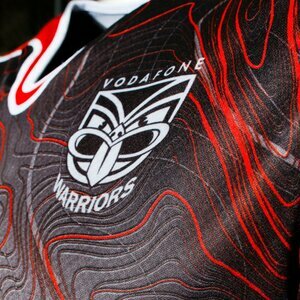 Exclusively available from Warriors Store the new 2016 Vodafone Warriors Alternate Training Jersey is the darker version of two different colourways that the team will wear in offensive training sessions and pre-season trial matches. 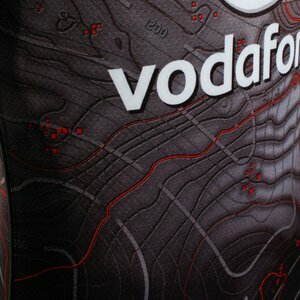 Incorporated into the design are topographical contours which are representative of New Zealand landscapes and these are layered onto each other to give levels of detail. This jersey is only available from the club and is a replica of what your team will be wearing at pre-season trials for the 2016 NRL season. 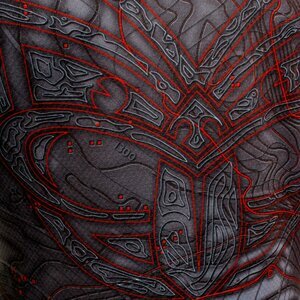 Strong mesh fabric to wick away sweat during tough training sessions. Reinforced seams for additional strength. 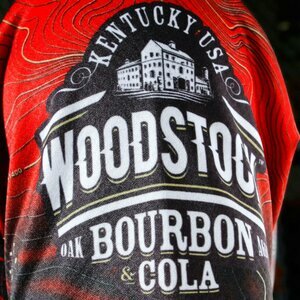 100% Polyester Pro-Jersey Knit. Machine washable.